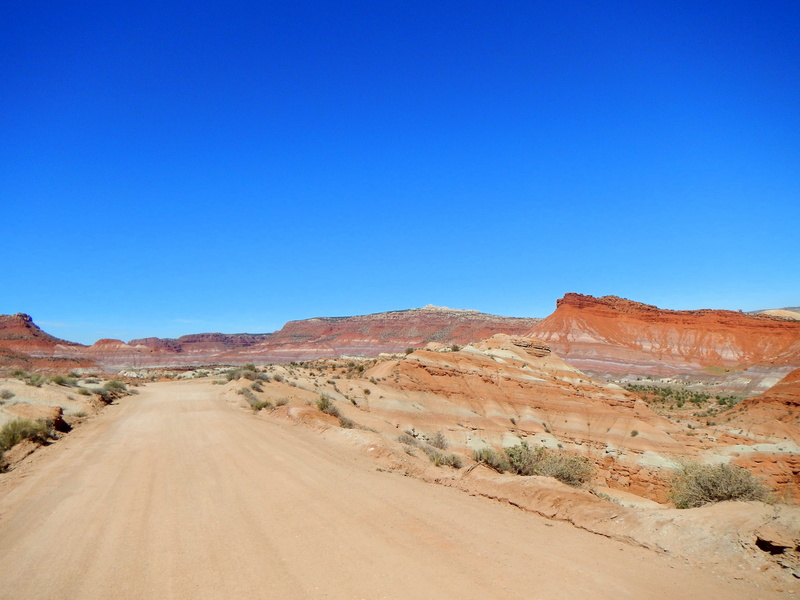 After leaving Grand Canyon I headed to Grand Staircase-Escalante National Monument. Arriving after midday, I started with some shorter hikes and excursions, the first of which was a drive out to the old Paria Movie Set which I was told was a lovely drive/walk. 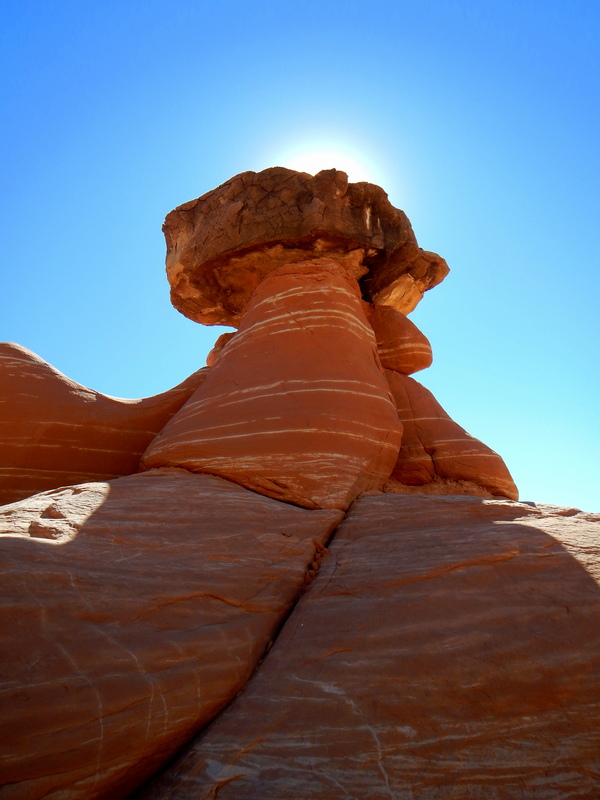 I did not look for the movie set, which I was told was nearly stripped anyway, but rather basked in the colorful hills of sandstone and clay. 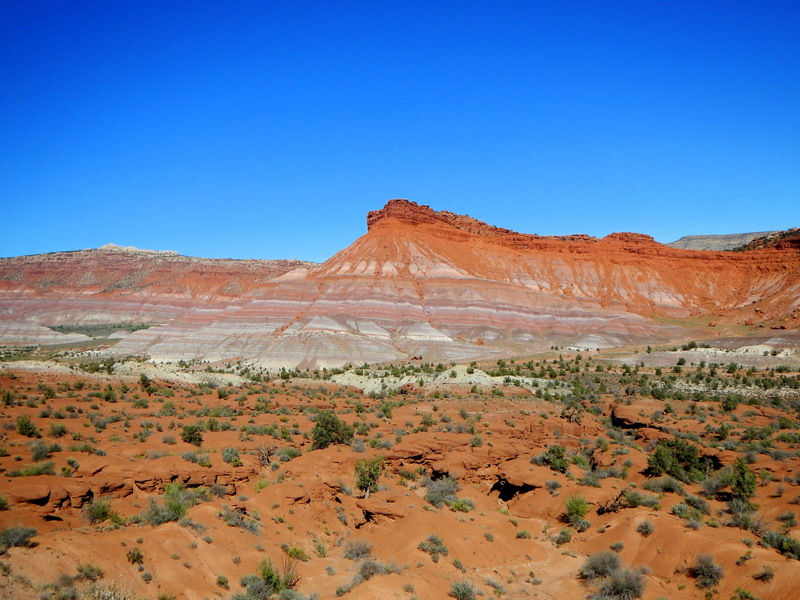 I then headed for “The Toadstools,” only a mile up the wash from the trailhead on Route 89. 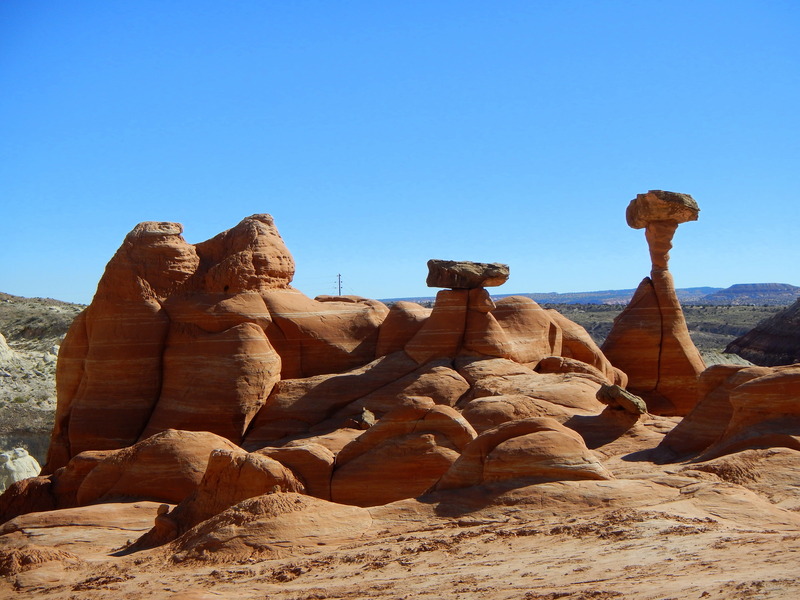 Named for the hoodoos in the area, The Toadstools also features beautifully sculpted sandstone and clay hills. 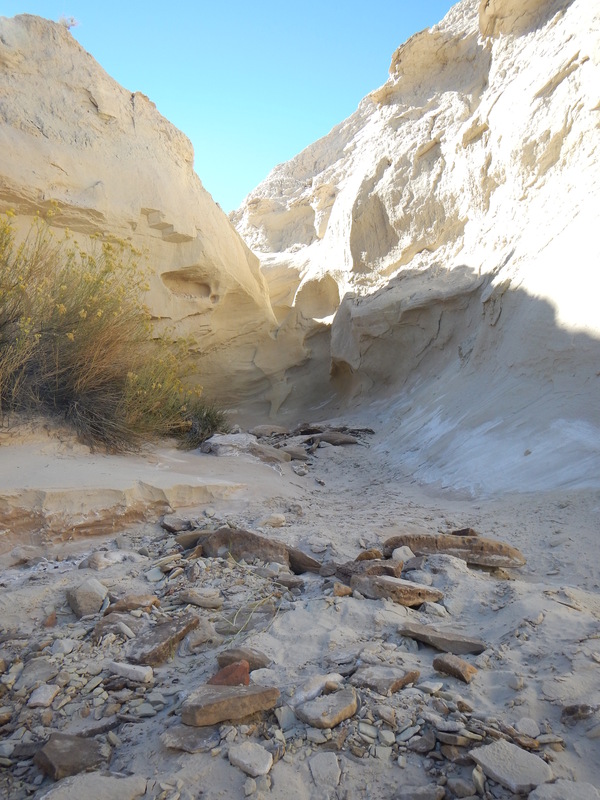 The trail is not well-marked since it generally follows the wash so I believe I wandered off a bit of the beaten path somewhere along the way after reaching the hoodoos. 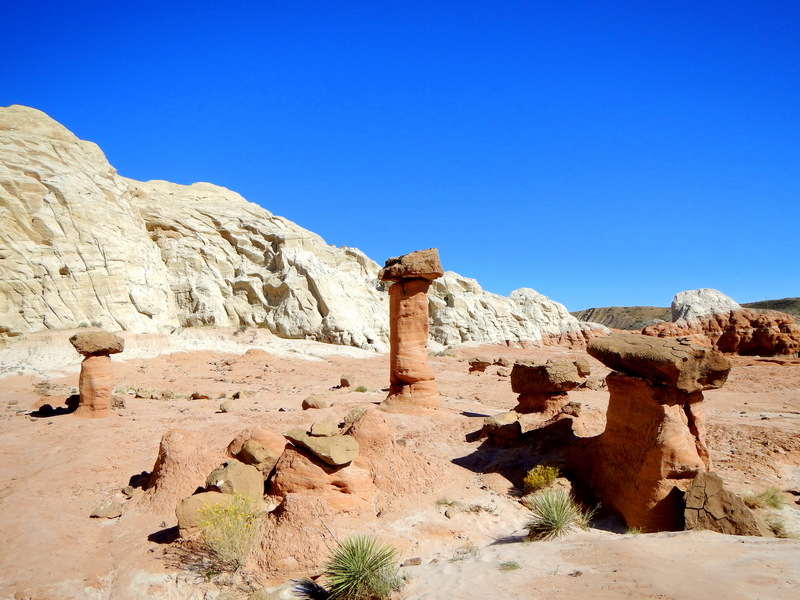 The creamy white and burnt orange sandstone was just too pretty not to explore anyway. 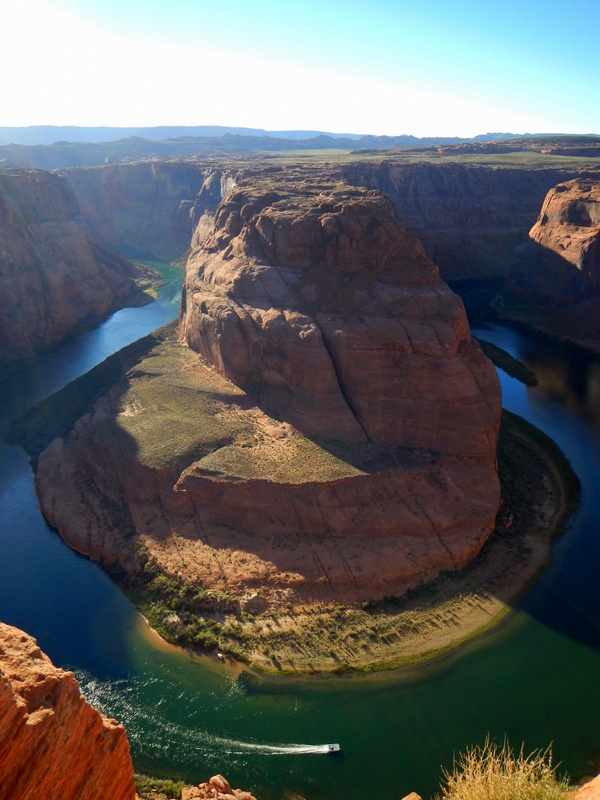 I then returned briefly to Page to go out to Horseshoe Bend which is where the Colorado River makes a 180 degree turn just before it reaches the dam. It was well worth the trip and only about 30 miles out of the way. Of course it gave me another opportunity to swim in Lake Powell which was very inviting after my afternoon in the sun. The lake was a perfect 73 degrees! I”m so glad you stopped here! It’s one of the many great site out there! Was the lake warm? !